Butuan City – Eighty-five (85) students receive their Vacation Bible School certificates during their graduation ceremony held at Ba-an Seventh-day Adventist Church last Saturday, May 4, 2013. Pastor Jun Cubelo, the district pastor of Butuan Suburbs district emphasized the theme “Jesus and Me” and the importance of training the children to be close to Jesus and to teach them the importance of prayer. Ba-an Seventh-day Adventist Church had been offering and sponsored Vacation Bible School (VBS) for five consecutive years. 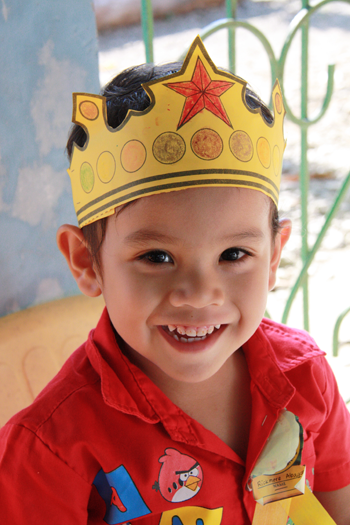 The church held two branches of VBS, one in Lemon, Ba-an, Butuan City and the other is at Ba-an SDA Church. Mrs. Heidi Ligsay, a 73 year old retired teacher led the youth in teaching the children, some of the youth were her students of VBS five years ago. The children heard wonderful stories from the Bible, played interesting games, and express their creativity through art. They were very happy knowing that Jesus is their best friend. 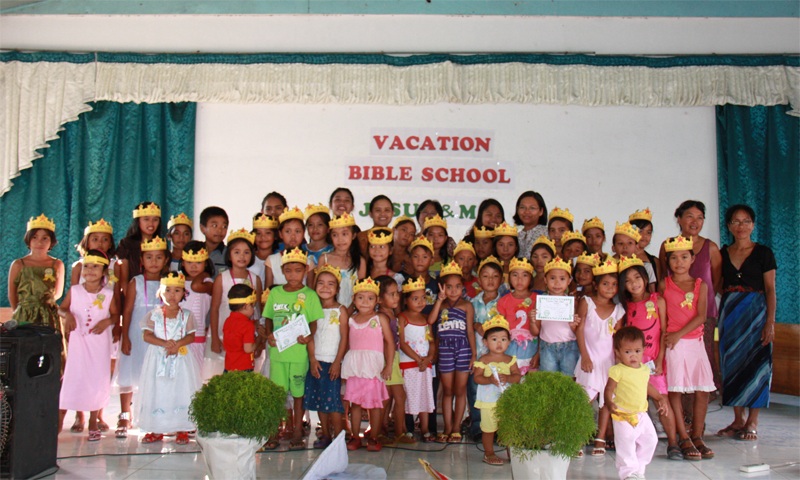 The leaders of Ba-an SDA Church were very thankful to the organizers and supporters of Vacation Bible School. The members of the church are looking forward to next year’s Vacation Bible School.